NOTE: Used books, rentals, and purchases made outside of Pearson If purchasing or renting from companies other than Pearson, the access codes for the Enhanced Pearson eText may not be included, may be incorrect, or may be previously redeemed. Check with the seller before completing your purchase. This package includes the Enhanced Pearson eText and the bound book version. 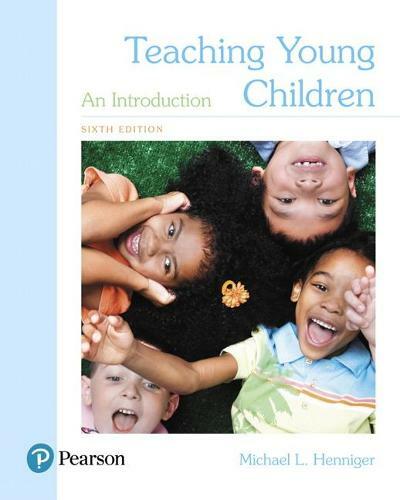 This comprehensive text gives pre-service early childhood educators a balanced, accessible introduction to early childhood education that also covers the content areas. It shows readers how to teach and care for children by identifying and focusing on five essential elements: understanding child development, play, guidance, working with families, and diversity. Each essential element is addressed in its own separate chapter and then explored at a deeper level in a featured section in ever chapter.